Today marks a significant milestone for one of Coonawarra’s oldest winemaking families Redman Wines. 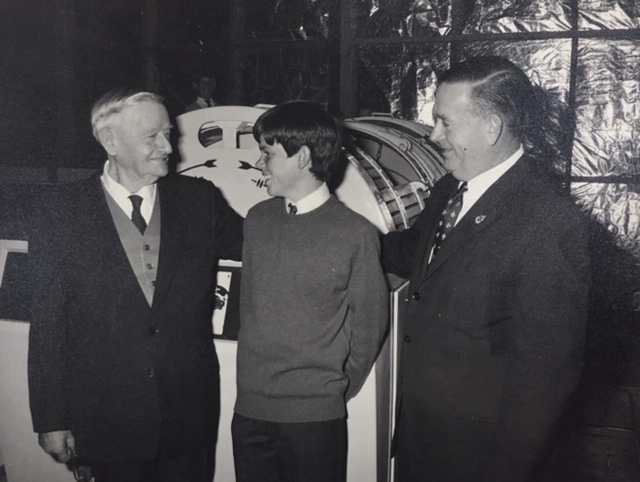 50 years ago the Redman winery was opened (following the sale of the original Rouge Homme winery and label in July 1965) by the then Premier The Honorable Steele Hall. 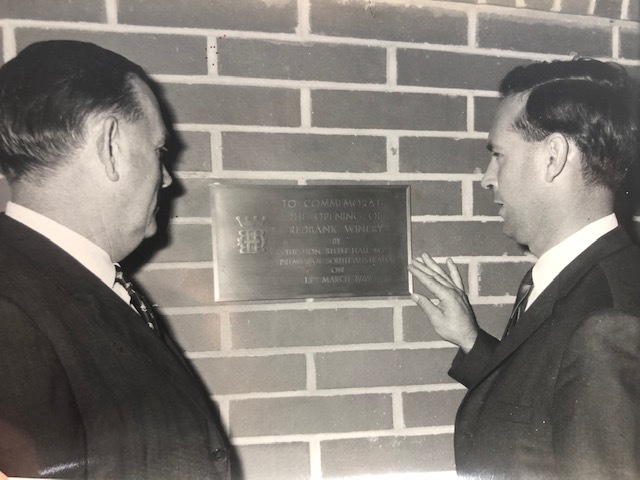 Not only was it a big deal for the Redman family, the opening on Saturday 15th March 1969, was also of great significance to Coonawarra as Redman became one of the first in the region to have a modern onsite winery. The cellar door scene was also in its infancy and we offered visitors a sneak peek at the winemaking process and the chance to taste and buy our wines – a relatively new concept back then, believe it or not. 50 years on the winery and cellar door still stands, pretty much in its original state and as authentic as ever – and remains to be a much loved destination for visitors to the region and locals alike! The milestone is to be celebrated by members of the Coonawarra Wine community, coinciding with the monthly Industry Cellar Door Get Together. Designed by Rod McDonald, a cousin of Edna Redman, who worked as an architect for Adelaide firm, Woodhead Hall Architecture, the building was quite a simple structure. The plans were drawn up in 1967, construction took place during 1968 and the final building was complete just in time for vintage on 15 March 1969 – 50 years ago today. Owen Redman, planned the winery based on the layout of the Rouge Homme winery, which he’d worked in previously, with a view to using traditional winemaking techniques. We first produced wine under the Rouge Homme label before selling both the label and winery in July 1965. Owen and Edna then purchased a 16-hectare block, with six hectares planted to shiraz and Redman Wines was born. Building a modern winery was not without its challenges. During construction it was discovered that the underground aquifer was quite near to the surface. As a result, the underground cellar could only be dug down to a depth of six foot or just under two metres. It was originally built for barrel storage, but we outgrew that small area rather quickly and now it is used for museum wine storage. The opening of a new cellar door heralded much excitement locally, but it was not as simple to launch as you may imagine. After months of delays, Raymond Steele Hall, 36th Premier of South Australia, officially opened the winery. It is said that the delays were caused by waiting for electricity to be connected to the winery as Coonawarra was only just being connected to the power supply! Back in 1969, onsite winemaking facilities were rare. It was a treat for wineries to be able to produce their own wines! At the time only four other labels in Coonawarra had their own winery: Wynns, Mildara, Rouge Homme and Brand’s Laira. Wine tourism was also yet to take off, so it could be said that the Redman Family were ahead of their time and it was always the intention to help educate our customers about the region and the way the wine was made. Today there are 24 cellar doors in Coonawarra, which given the size of the region, is a significant amount – it is just 20 kilometres long and 2 kilometres wide. The winery continues to thrive, and while the Cellar Door may not have evolved too much over the years it remains a big part of the Redman family story, allowing visitors to come and meet the family, and try their wines firsthand. Over the years as more grapevines have been planted and more wine produced, the winery has been expanded. In 1970-71 barrel storage was added and then from 1970-72 wine tank storage, with more extensions again in 1975-76.